54191 Osprey Way, Frisco, NC.| MLS# 104175 | Outer Banks Homes For Sale, North Carolina Home Search Including Nags Head, Pirates Cove, Manteo, Kill Devil Hills Kitty Hawk, Southern Shores, Duck, and Corolla North Carolina, Oceanfront and Soundfront properties for sale and long term rentals. Here is the perfect full-time, second home or weekend getaway you have been waiting for! You do not want to miss this opportunity...this beautifully remodeled and decorated Frisco soundside beauty could be yours! This 4 bedroom, 2 and 1/2 bath home has been lovingly cared for as a primary residence...and it shows!! 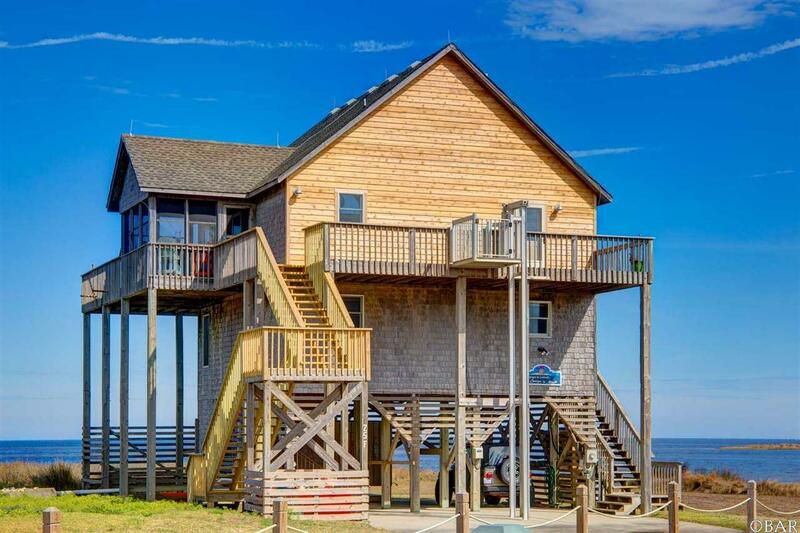 Watch the sun set over the Pamlico sound from your deck or screened porch and enjoy the dinner your prepared in your incredible kitchen that boasts granite countertops and stainless steel appliances. The spacious upper level floor plan provides plenty of space for entertaining all your family and friends, while just steps away the sound offers endless possibilities for outdoor fun. Check the list of improvements effected in the last 3 years....this property is truly turnkey. Come and visit today and spend your summer enjoying the sunsets!